So I have about 5 favorite interior design bloggers. One of the top ones is Amber Interiors. She has a fabulous shoppe and I drool over it constantly! 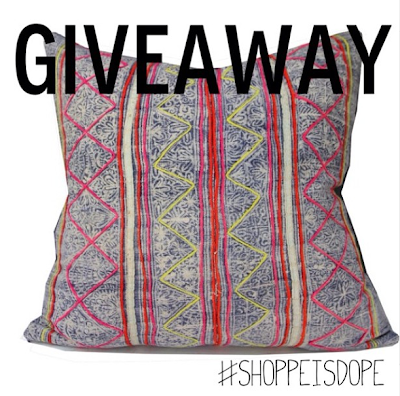 She is doing a giveaway and I've been dying for one of her batik pillows for a good year now. Fingers crossed!! Head over here for details if you want to enter to win as well. Be prepared, however, to fight me for it! If you do win by chance I will probably hate you forever!! You can also check her out on instagram! Can you tell I'm obsessed? Leading Carpet Cleaner in Ocala are trained to use multiple carpet cleaning methods. Because of this and customer demand we offer our customers more options than most other carpet cleaners; steam carpet cleaning which dries in 4 to 8 hours and our deep scrub carpet cleaning which dries in just one hour. A mom discovering the world of autism, while filling my quiet moments with my many curiosities (cooking, interior design, fashion, art, and living my religion-I'm a Mormon! Oh, and of course my husband and son!). Wild Ink Press is Hiring!